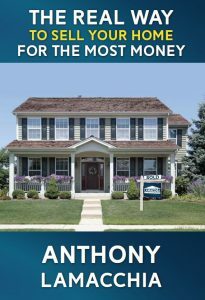 April 8, 2019 – Anthony Lamacchia, Broker/Owner of Lamacchia Realty published his first book, The REAL Way to Sell Your Home for the Most Money which explains how to sell your home in this market for top dollar. From 2005-2011 Anthony personally worked with several hundred sellers and became the number one Realtor in Massachusetts by 2010. Then from 2010 to 2014 he ran a small team of agents who sold over 400 listings a year. Since 2014 he has perfected all of his home selling methods and taught it to hundreds of agents who have successfully utilized these skills with their home sellers to ensure their clients receive the most money for their homes. The purpose of this book is to teach home sellers how things really work in the home selling world which ultimately discloses to Sellers what many Realtors know but are often scared to share with their clients. Those who know Anthony know he is blunt about how things really work and feels strongly that all agents in the business nationally should be more explanatory to home sellers. Anthony is a true mastermind in understanding the trends of the market, including inventory levels, pending sales, sold statistics and more. He is considered an industry authority, having been on over 250 television news appearances on various Boston TV News stations as a Real Estate Expert and has also been interviewed by national media outlets including the Wall Street Journal and the Washington Post. Anthony is a Boston Globe Correspondent who writes a few columns a year. To learn more about Anthony, click here. Anthony Lamacchia is heavily involved and very passionate about advocating for home ownership, real estate development, and tax policies as they pertain to homeowners and wants to share this knowledge with as many sellers as possible! Because of that, he’s giving away 500 copies of this book! Click this button to receive one of the first 500 complimentary copies of this book! Click Here for a Complimentary Copy! Lamacchia Realty strives to provide relevant, educational and informational content every day for both their realtors as well as buyers and sellers. This book adds just another tool in their ever-expanding toolbox for successful real estate transactions. If you read this book before selling your home, you will be one of the most prepared sellers out there. In 2018, Lamacchia Realty made Inc.’s 2018 List of 5,000 Fastest Growing Companies in America for the 7th time in a row and was named Honoree in the 2017 Inc. Magazine’s Best Workplaces Contest. 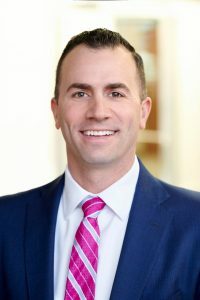 In 2018, Lamacchia received recognition from the Boston Business Journal Fast 50 as one of the fastest growing private companies in America, by REAL Trends on their list of Largest Privately Owned Independent Companies in the U.S., and received the Leading Real Estate Companies of the World Fast Tracker Award. The company’s rapid and continuous growth is fueled by its formula of offerings to its agents. Lamacchia offers an array of unique lead products, services, and tools to its agents. In addition, the trainings, systems, technology and marketing that Lamacchia Realty offers its agents are second to none and the word is spreading. Agents have everything they need to grow their businesses at their fingertips. Agents who join from other companies on average grow their business by 318% in their first year at Lamacchia Realty.